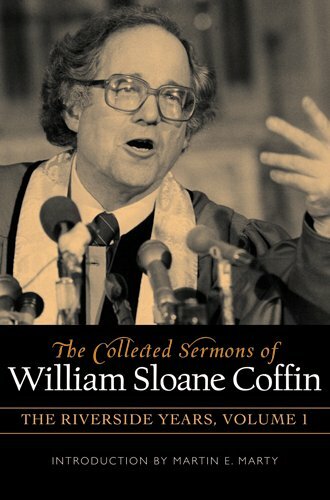 Comprising the sermons preached by William Sloane Coffin while he was senior minister at the prestigious Riverside Church in New York City, The Collected Sermons of William Sloane Coffin: The Riverside Years captures the renowned preacher and social activist at work: ministering to American hostages in Iran, supporting AIDS awareness, and rallying his audiences to battle poverty and nuclear proliferation--all the while celebrating marriages, baptisms, and Mother's Days and mourning the loss of loved ones, including his own son. In each of these brilliant and painstakingly crafted sermons, Coffin combined his deep love of Scripture and passionate commitment to peace and justice with his unparalleled gift for the spoken word. While also revealing the personal and pastoral dimensions of his ministry, each sermon provides a powerful example of Coffin's well-accomplished mission: to challenge the conscience of a nation.